If a foreclosure case has been filed against you, it is critical that you hire an attorney to battle the lenders and mortgage companies. A variety of new laws and government programs exist to help homeowners and borrowers, but you need an attorney to help ensure your rights are protected and prevent a foreclosure judgment by default. Contact my office directly for a free review of your case and advice on how I can help you. I charge a reasonable fee to represent your interests and will use my experience and commitment to protecting consumers to stand up and fight for you! Foreclosure – Stand up and Fight! When you have been served with a foreclosure lawsuit, you have only 20 days to file an answer with the court or risk having the property sold in foreclosure. You may face significant risks in addition to losing your home such as having your wages garnished and being subjected to additional IRS tax liability. 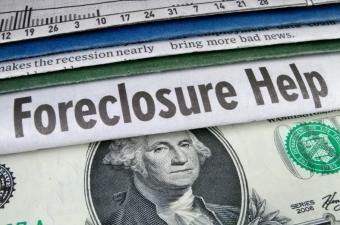 Foreclosure is a significant event and the consequences from the foreclosure may follow you for the rest of your life. With something this important, you need legal representation that you can trust. Foreclosure Rescue Scams – Don’t be a Victim! Borrowers across the country are falling victim to “loss mitigation“, “mortgage negotiators”, realtors and other companies and individuals who suggest they can assist borrowers with their foreclosure case. If you have been served with a lawsuit in Oklahoma, it is important to understand that only an attorney licensed to practice law in Oklahoma can file an answer on your behalf. You should also understand that even if you are working directly with your mortgage company and believe you have entered into a settlement agreement, they may still proceed with the case against you unless they agree not to pursue the case in writing. As a public service, we will take the time to review your case free of charge and provide you with the legal options that are available to you.